John Floridis profiles the roster of musicians playing the 2018 Crown of the Continent Guitar Festival in Bigfork, Montana, August 28 - September 1. Listen to Montana Public Radio at 8:00 p.m. Friday, August 31st for highlights from the festival's Thursday performance featuring Poco with Rusty Young, Justin Townes Earle, and Guthrie Brown. Grammy award winning musician Jerry Douglas joins us from the Crown of the Continent Guitar Festival and Workshop to talk with MTPR's Michael Marsolek. "I'm having a wonderful time here in the Flathead," Douglas says. "I've been hanging out with Mike Stern, and Sonny Landreth is my next door neighbor. Albert Lee is here, and David Lindley, you know, everybody. It's such a wonderful place to hang out. As a guitar player, there couldn't be a better place to be on earth right now." 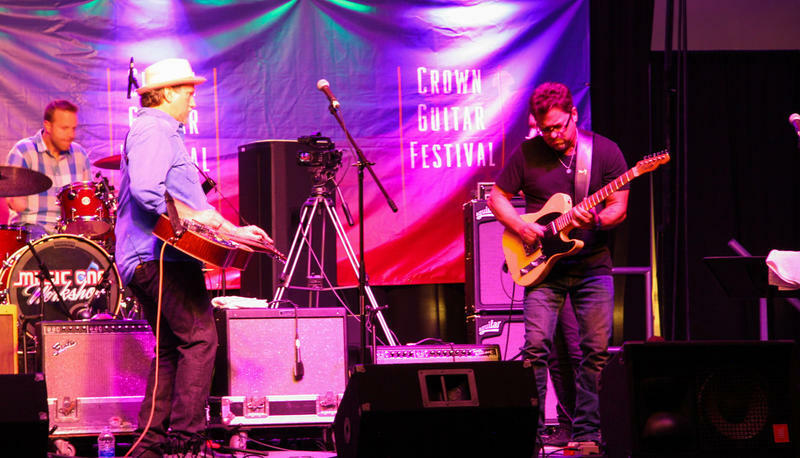 Hear more from Jerry Douglas in this interview from the Crown Guitar Festival. We had a great time at the Crown Guitar Festival Monday, recording shows from Gonzalo Bergara, Julian Lage and Chris Eldridge and some talented students from the workshops. 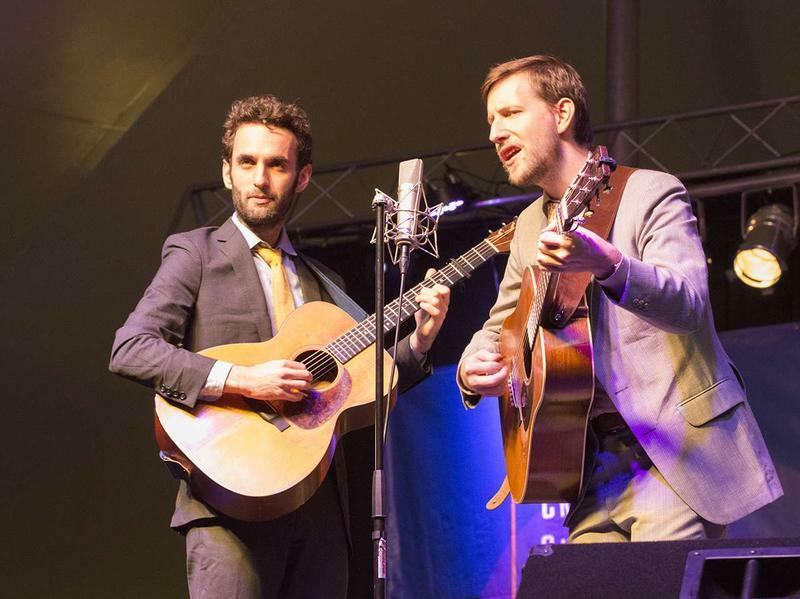 Julian Lage and Chris Eldridge performed for nearly two hours to an adoring audience. Guitarist Gonzalo Bergara presented his own mix of sounds from Paris and his native Argentina. You can hear those performances on MTPR Friday at 8:00 p.m. on your radio or online. 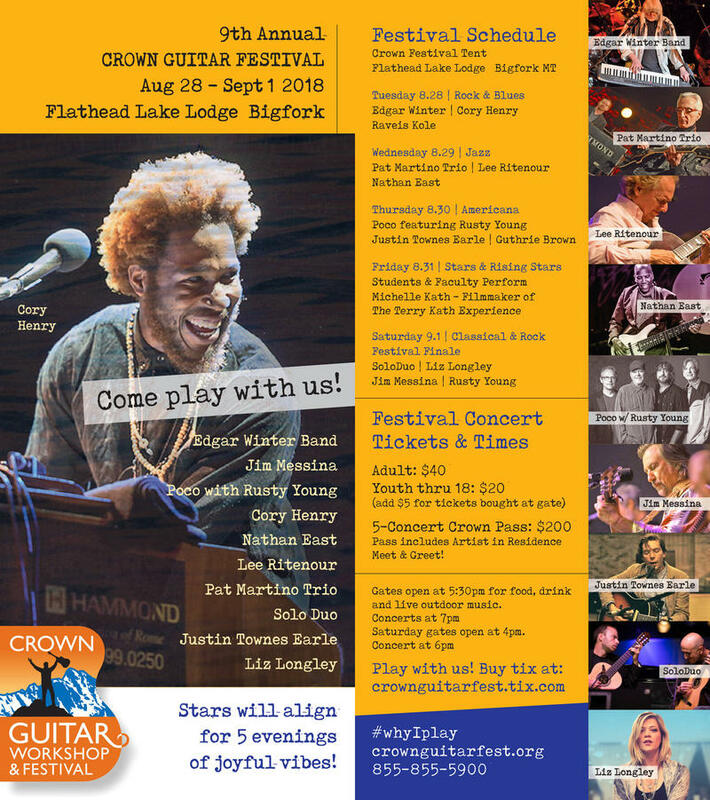 The Crown of the Continent Guitar Festival runs Sunday August 28 through Saturday September 3 in Bigfork. 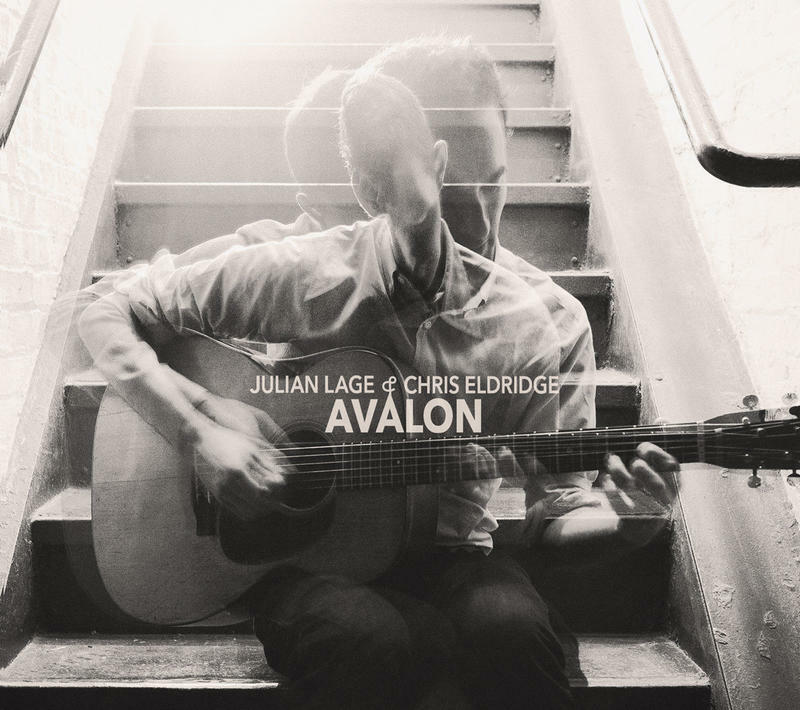 MTPR will be on hand Monday night for the the concert with Julian Lage and Chris Eldridge. Also on the bill is the gypsy jazz of Gonzalo Bergara. You can hear the rebroadcast of that concert Friday, Sept 2 at 8:00 p.m. on MTPR. 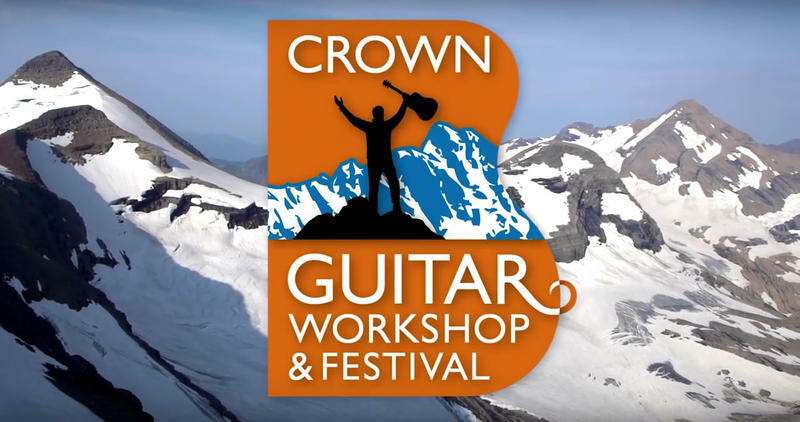 The Crown of the Continent Guitar Festival brings guitar greats to the shores of Flathead Lake every year to network, teach, and play together. MTPR's Michael Marsolek talks guitar with the L.A. Guitar Quartet, Lee Ritenour, and more.